We’re used to thinking of food as cheap and getting cheaper. 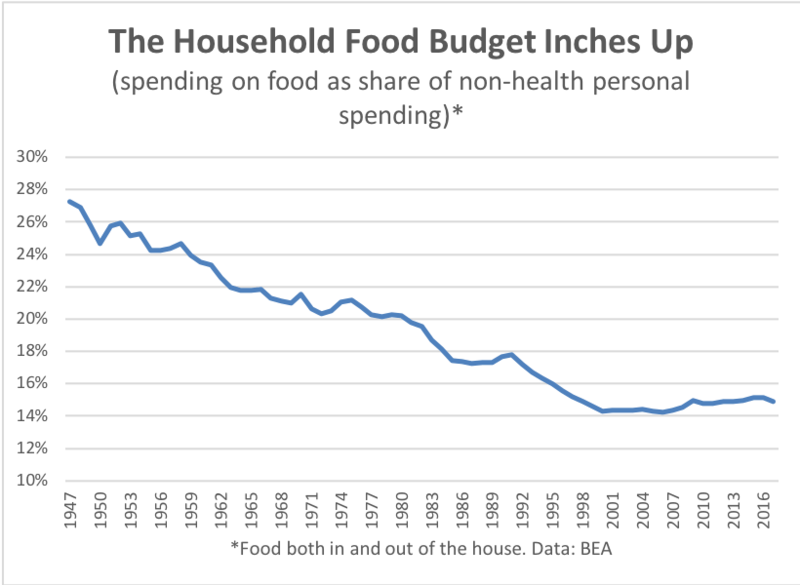 In 1947, spending on food—both in and out of the home—accounted for 27% of non-health personal spending. 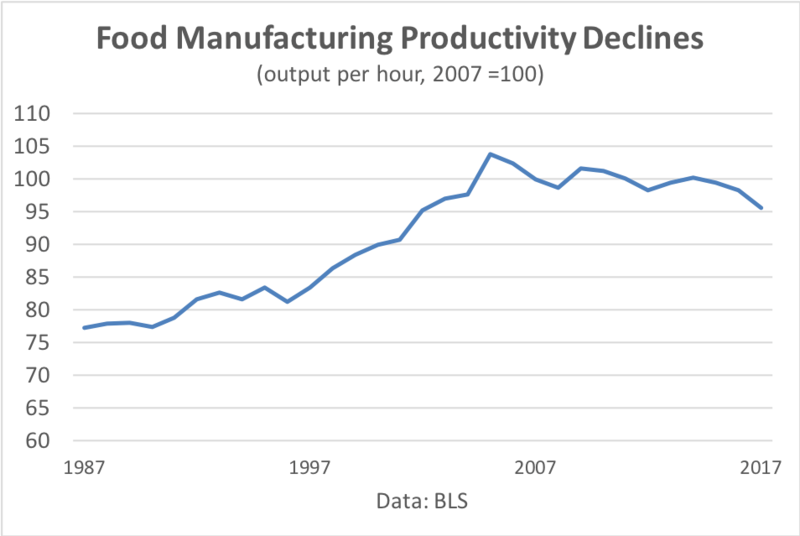 By 2000, the food budget share, omitting healthcare, had dropped to 14%. Another factor boosting food costs may be greater attention to safety. In particular the Food Safety Modernization Act (FSMA) was signed into law by President Barack Obama on January 4, 2011. This legislation gives the FDA a new mandate to regulate food production and processing. Indeed, the necessary rules are still being implemented–for example, the FDA is currently asking for comments on a proposed guidance for “Standards for the Growing, Harvesting, Packing, and Holding of Produce for Human Consumption.” Obviously an important step given the current lettuce issue!